Succeeding at poker is not just about knowing how to play your hand, and honing your bluffing skills and your poker face. Bankroll management is also key to poker success. These four tips for money management in poker will help you to manage your bankroll at all times. Your bankroll should only be composed of money that you can afford to lose in its entirety. Never use money to gamble with that you should be using to pay bills and rent or to buy essential items like groceries or birthday presents for the kids. Setting aside ‘spare’ money for your bankroll, and never dipping in to other funds that you had reserved for paying the gas bill or for purchasing petrol for the week, is fundamental to good bankroll management. Never try and use your poker bankroll to earn money for bills: this could go terrible wrong and you could find yourself unable to pay your rent or to buy food for the week. You may have seen movies where a character dramatically pushes all of their chips into the centre of the table, perhaps adding the keys to their car or their house to the pile for good measure. This is very much the stuff of fantasy, and all of those films ought to come with a warning: do not try this at home. Poker experts tend to state that players should only ever bet between 4-5% of their total bankroll in any given round. Don’t feel you have a large enough bankroll to play compellingly with 4-5% of it? Simply sit out a few poker games and wait a few weeks until you have accumulated enough money to wield a compelling stake. When you are losing, it can feel tempting to try and win your money back by plugging more and more of your bankroll into your stake. This is definitely something to avoid, as upping your stakes whenever you lose (a technique that is known as the reverse martingale) is very risky and almost never pays off. Stick to the 4-5% rule described above, even if you are losing. If you are losing very badly, it may be time to simply walk away. We may think that emotions have nothing to do with cold, hard cash. However, there are two well documented phenomena in poker that show that this is not always the case: poker tilt and poker steam. Poker tilt is when we are losing and our minds start to become clouded with desperation, leading us to make some very bad decisions with our bankroll as we try anxiously to win all of our losses back. Poker tilt is when losses in poker lead our minds to become clouded in another way: with rage. Again, this can lead us to use our bankroll in a reckless way, and lose much more money than we would have done had we just walked away from the poker table or played with a cooler, calmer mind. The moral of the story is to ensure that we only ever begin a game of poker when we are in a calm and balanced state of mind. Avoid poker steam and poker tilt by checking in regularly with your emotions and, if necessary, have a partner or a trusted friend in the room with you as you play so that they can come and help you to calm down whenever they recognise the signs that your emotions may be getting out of control. 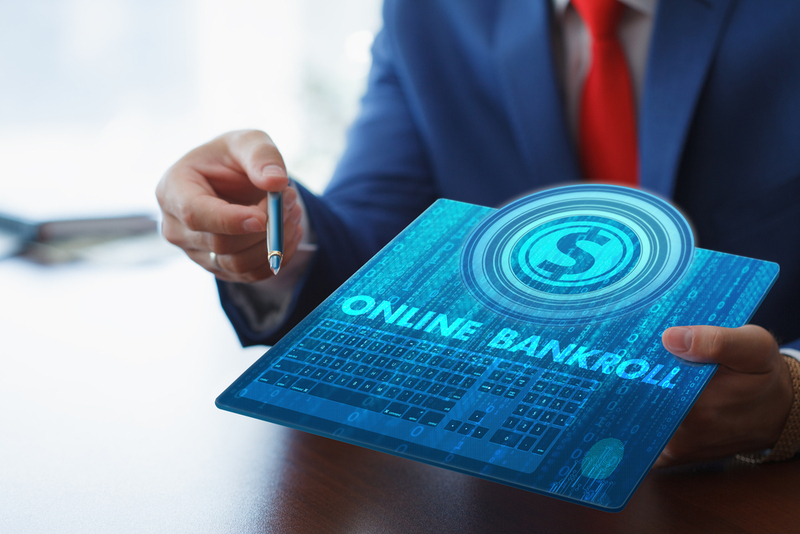 No matter how big or how small your bankroll is, the four money management tips listed above will help you to master online poker. Here’s one final bonus to our list of poker bankroll tips: don’t plug all of your winnings back into your bankroll. Instead of using all of the money that you win at poker to fund further poker games, keep some back and use it for something that you will enjoy in the ‘outside world’. That might mean treating your partner to a delicious dinner for two, or buying yourself a new item of clothing or some tickets to the cinema or the theatre. After all, our winnings should improve our lives and this way they feel more tangible.